The stress of adoption can put tremendous pressure on a marriage. If you are exploring adoption, you need to find ways to effectively manage the challenges of adopting while also strengthening your marriage. 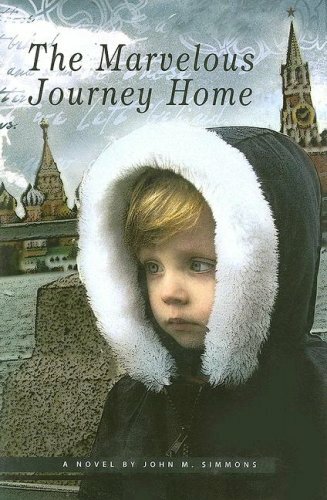 "Being the father of three biological and six adopted children — some from international adoptions — I can tell you that adoption will punish you and thrash your marriage if you don't bother to make and follow a plan," warns John Simmons, adoption expert and author of The Marvelous Journey Home. We all know that money struggles can take a serious toll on any marriage. And with most adoptions (other than foster care adoption), expenses can be enormous. "Often parents plan financially for an adoption like they purchase a car or a home," says Simmons. "They usually intend to spend everything they can afford and perhaps even a little bit more. When budgeting is pushed to the edge with large expenditures, unexpected costs of even a moderate nature can become overwhelming. When people spend every dime they can on a house payment, a failed furnace can be a catastrophe. A brand new Corvette may fall within the budget but unconsidered insurance increases might push it up to the edge. "Adoption and adopted children also come with unexpected expenses. A speeding ticket in a new Corvette looks pretty good compared to maxing out your family medical deductible for four-years running. As with any large expenditure, leaving financial leeway will help to ensure that a marriage is not being overburdened during an adoption." Financing an adoption isn't easy. However, you can find a vast amount of resources available, including interest-free loans, grants and other programs. The Adoption Tax Credit offers a credit of up to $12,650 (2012) per child for "qualified adoption expenses." Keep this credit in mind when making your adoption plan. You can find out additional details about the Adoption Tax Credit from the Internal Revenue Service at IRS.gov. Many companies have adoption assistance programs as part of their benefits package. Talk to your place of employment to learn about any available program to you. Also visit adoptionfriendlyworkplace.org for more details. A number of organizations offer interest-free or low-interest loans for adoption. Check out the ABBA Fund, Lifesong and other options, both locally and nationally. Many organizations offer adoption grants as well. You can apply for grants for domestic, foster, international and special needs adoptions. Here are just some choices to consider. Many of these programs offer grants, as well as loans and other assistance to adoptive families. Also talk to your church (if you belong to one). More and more churches are establishing adoption funds in recent years. There may be a program available to members of your church that you aren't even aware of. When family and friends find out that you are looking to adopt, they'll probably want to help. You can set up an account where they can make contributions to your adoption fund directly. Also, try fundraising in other creative ways as well. The ABBA Fund blog has a terrific list of adoption fundraising ideas that includes everything from online auctions to yard sales.